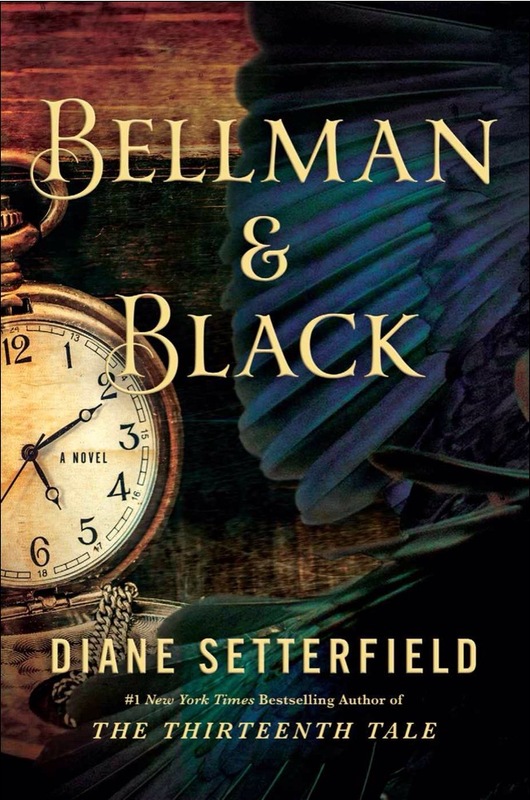 ‘Bellman and Black’ is the latest offering from Diane Setterfield, whose bestselling novel ‘The Thirteenth Tale’ was recently adapted as a TV drama. At the age of ten, William Bellman makes a perfect shot with a catapult. His target, a rook, falls to the ground. As an adult, William Bellman seems to live a charmed life. His drive, determination and willingness to learn have helped him to make his fortunes and build a happy, healthy family around him. It seems as though nothing can go wrong. But then one horrific, unstoppable incident has a devastating effect on the world that William has created. A chance encounter with Mr Black, and a promise of a business deal made in darkness, casts a shadow over his future that he can never shake off or outrun. 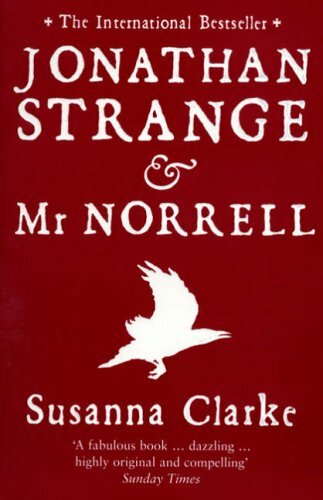 Touted as the Harry Potter for adults, Susanna Clarke’s ‘Jonathan Strange and Mr Norrell’ is set in an alternate version of 19th Century England rife where magic is very much present. From the theoretical magicians that gather across the country to the hundred of people across the northern counties still waiting for their Raven King to come back and claim his throne, magic has an undeniable impact on everyone in the kingdom, rich or poor. But while magical societies discuss the great feats of the past, in Yorkshire one man is determined to bring back practical magic. Surrounded by his precious books, the reclusive Mr Norrell heads to London to lend his help to the war effort and defeat Napoleon. Meanwhile, Jonathan Strange stumbles across magic as a profession almost by accident. Inventive, passionate and eccentric, his style and approach to the study and practice of magic is entirely different from Norrell’s – leading to an inevitable clash of opinions. England is split into ‘Strangites’ and ‘Norrellites’. A war of words is played out through the magical journals. Increasingly great and ambitious magic is played out on the battlefields of Europe, the savage English coastline and the drawing rooms of the English aristocracy. People are raised from the dead, rain takes on solid forms, darkness falls for days on end and cities, roads and forests are moved to a magician’s whim. But beyond all of this lurks shadowy figure of the Raven King and the malevolent world of faerie looking to reek havoc on those that dare to lay a claim on English magic – bringing dark and unforeseen consequences. It is undoubtedly an amazing feat of world building. There’s a whole bibliography of fictional titles mentioned throughout the book, each with a fictional author and subject matter, as well as a complete magical history stretching back for almost 1000 years. This history is recounted along with numerous stories, legends and folklore relevant in long explanatory footnotes that make the book seem almost like an academic work rather than a novel. This does help to give a great sense of context, but at some points it did get a little frustrating, especially when I was nearing the end of the novel and more interested in the actual characters than an exhaustive story that seems in no way connected to the story. At these points, it was probably a good job that I was listening to this as an audiobook – as I would have been sorely tempted to skip thorough these whole sections. One up-side of the impressive length, however, is that each and every single character is completely and utterly brought to life. Everyone is given his or her own backstory and individual characteristics, again helping to totally immerse the reader in Clarke’s world. The book is packed with black humour and subtle social commentary that continues to drive the story along even through the more intense sections dedicated to historical magical debates and incidents. Another thing I loved was the ending, which worked really well and made me smile. I actually enjoyed it so much that I haven’t been able to get really interested in another book since – always the sign of a good read! Also, for anyone interested and those that have already read the book, it’s recently been announced that the BBC are producing a TV adaptation starring Eddie Marsan and Bertie Carvel in the title roles.